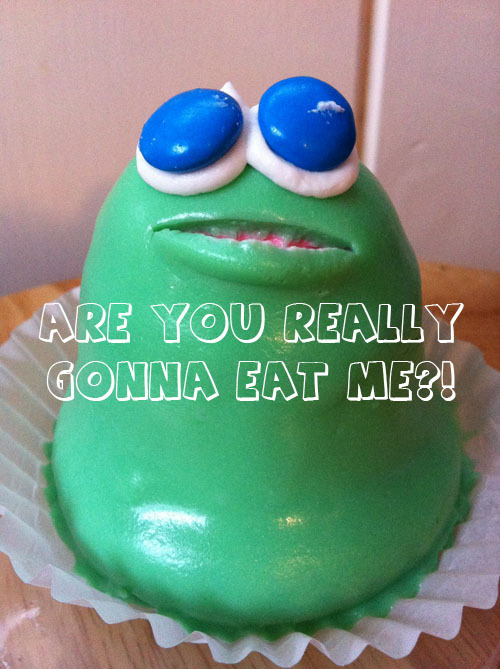 It's time again for the Wegmans frog cupcakes. I still haven't figured out what the connection is between St. Patrick's Day and frogs, but the cupcakes are so good, it doesn't matter. 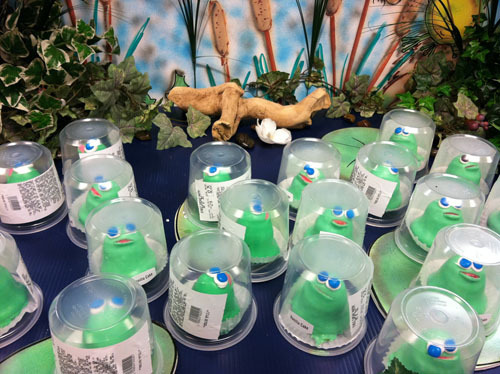 An entire swampful of frog cupcakes waiting to go home with someone! Doesn't he look worried to you?? I'm glad you posted this. I was concerned that this might be the year without a Wegmans Frog Cupcake. Not being from your area, but having visited, I confess to serious Wegmans Envy. Enjoy your frog head! Is your wegmans part of the same chain that is in Pennsylvania? I went to my local Wegmans and no one in the bakery section or the manager had ever heard of frog cupcakes for St. Patty's day. I'm trying to find them for this weekend. I am in Rochester, headquarters for Wegmans. I have heard that they only seem to be in NY.